Leon Joined CAIS in 2012, following 12 years of working within the fields of criminal justice, residential and community services. He graduated from Keele University with a BSc (Hons) degree in Criminology and Psychology in 2003, and has also completed ILM Level 5 Diplomas in both residential management and and leadership and management during his time with the organisation. 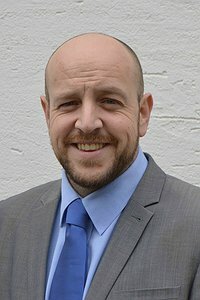 In 2017, Leon was appointed Director of Community Services with responsibility for Hafan Wen, Ty'n Rodyn, homelessness prevention, young peoples, counselling, therapeutic and housing services. Leon's interest is in ensuring that CAIS delivers quality, cost effective and innovative services which meet the needs of service users, commissioners and communities.